The Oregon Coast’s largest city is geared for growth. Against the lush backdrop of Oregon’s largest coastal estuary, the Bay’s deep-draft port is an inviting gateway to the Pacific. 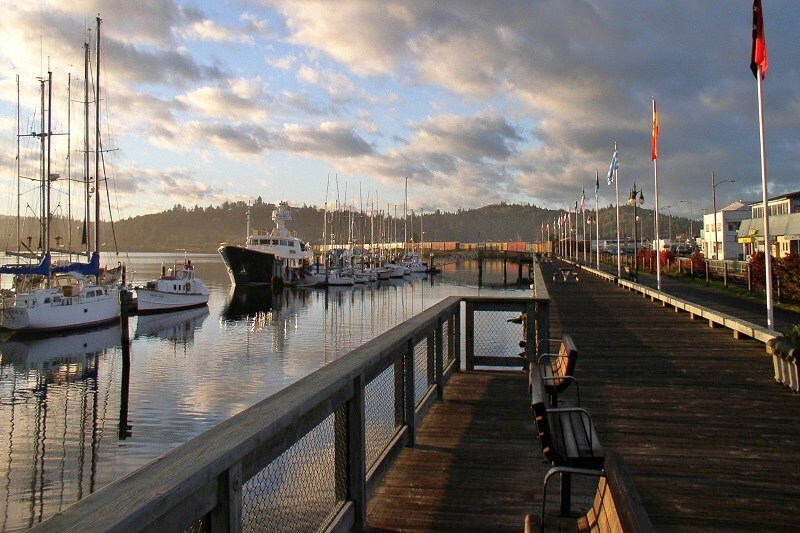 Coos Bay is the regional commercial and retail center, boasting the coast’s most advanced medical facilities, an outstanding community college, rich cultural and recreation resources, and a welcoming environment for business development. Whether you’re already in business or you want to start one, the City of Coos Bay is here to help. Our friendly, knowledgeable staff will guide you through the permits and inspections and help you find resources to build your success. Give us a call at 541-269-8918 or stop by the Public Works and Community Development Department at City Hall. Let’s build the future together! Business License Application Application for starting your own business or renewing your business license. The Coos Bay Municipal Codes are available online. The Business Development Center is operated by the Oregon International Port of Coos Bay and Southwestern Oregon Community College. The Center assists new and existing businesses, small business management program, workshops, and offers free, confidential business counseling. The Center is utilized as a business incubator for those who are striving to start their own business or need assistance in taking their business to the next level. SCBEC is a private, non‐profit organization providing employee screening, recruitment, customized training programs and a wide range of related services. SCBEC also offers training wage subsidies to qualifying employers. × Can I reserve a gazebo or picnic table at Mingus Park? The amphitheater and adjacent gazebo, near the swimming pool, can be reserved with a Special Event Application; there is no fee for this. The gazebo by the children's play area and picnic tables at Mingus Park are not able to be reserved, but are available on a first-come first-served basis. Please be courteous so that everyone can enjoy the facilities. × What is the phone number to the Better Business Bureau? The phone number is 503-212-3022. Their website for Oregon is http://www.bbb.org/alaskaoregonwesternwashington/. × What is required to operate a business out of my home? If you are running a business from your home and your home is located within the city limits, you will need a Home Occupation permit and a Business License. If your home is not within the city limits, you just need a standard Business License. Download and complete both sides of the Home Occupation Permit Application (which is also a Business License application), then submit it to the Community Development Department. If you do not own the home, you will need written permission from the property owner to conduct your business from the premises. The application will be reviewed by our staff to make sure that the proposed business fits the requirements for a Home Occupation and does not infringe upon the rights of other residents or alter the residential character of the area. × What is my property zoned? The Zoning Map shows the zoning for the entire city; just zoom in to find your property. You can also call the Planning Division of the Community Development Department at 541-269-8918. You'll need to know the property address or, if it is an undeveloped property, some other means of identifying it such as cross streets or tax parcel information. We can help you find the answers you need. Allowed uses on a property are based on the zoning designation. Zoning definitions and descriptions are included in the Coos Bay Municipal Code, Title 17. × Are there business organizations in the area? The Coos Bay Downtown Association (541-266-9706) and the Bay Area Chamber of Commerce (541-266-0868) support local businesses. × Where can I go for assistance with opening a new business? Contact the City of Coos Bay Community Development Department at 541-269-8918 for information on business license requirements, zoning, urban renewal, and façade improvement grant program. Local agencies include the Business Development Center (541-756-6866), Business Oregon (541-267-4651), Coos Curry Douglas Business Development Corp (CCD) (541-756-4101), and South Coast Development Council (SCDC) (541-888-7003). Building permits ensure that construction meets minimum building standards to ensure safe workmanship. You need a permit if you’re making structural, plumbing, mechanical, or electrical changes to an existing building or if you're building something new. Permits are also required for any work in the right of way (ROW), demolition, sewer connections and repairs, curb cuts, site development, and signs. Click here for more information and applications. Business licenses are required for any business doing work within the city limits of Coos Bay or with another business or person who is within the city limits of Coos Bay. Requirements for business licenses are detailed in the Municipal Code Title 5. Business licenses are issued for each calendar year and must be renewed annually. Renewal notices are typically mailed out at the end of November; payment is due by January 1st. Call the Public Works and Community Development Department at 541-269-8918 for more information. Download the Business License Application. Pay the business license online using xpress bill pay. To operate a business from a home within the city limits, you will need a Home Occupation permit in addition to a Business License. The City’s Municipal Code, Chapter 17.260, describes the requirements for a Home Occupation. If your home is not within the city limits, you just need a standard Business License. Download and complete both sides of the Home Occupation Permit Application (which is also a Business License application), then submit it to the Public Works and Community Development Department. If you do not own the home, you will need written permission from the property owner to conduct your business from the premises. The application will be reviewed by our staff to make sure that the proposed business fits the requirements for a Home Occupation and does not infringe upon the rights of other residents or alter the residential character of the area. The Home Occupation Permit is a one-time process and the business license is renewed annually thereafter. Many small businesses successfuly operate from residences. Common Home Occupations include cleaning services, consulting, yard care, tutoring, art, photography, and mobile businesses. Most Home Occupations are either one person working from a home office with minimal customers visiting, or a mobile business where most of the work is done outside the home and the residence is used for office tasks. Download the Home Occupation Permit Application. Owners of rental property within the city limits are required to have a business license for both commercial and residential rentals. The annual fee is based on the number of units. A business license is required to operate a mobile or transient business, such as a food cart/truck or street vendor. The type of business license and the application requirements depend on where the business is located. The unit must be self-contained and may not discharge into the sanitary or storm sewer. A Transient Business operates from various city-owned properties and public right of ways and has no fixed permanent location from which the business is conducted. The business is permanently affixed to wheels or is otherwise mobile and must be removed each day. The annual business license fee is $50. Hollering Place Wayside (southwest corner of Newmark Ave and S. Empire). Transient businesses are not allowed to operate on other city parking lots or public properties, or on property under the control of other public agencies such as the Oregon Department of Transportation (US Highway 101), the Coos Bay School District, or other agencies. Transient businesses are not allowed to operate from the right of ways on highway 101, i.e. the parallel parking spaces and sidewalks on Bayshore and Broadway. If in a parking space, the vehicle and any equipment must occupy no more than one legal standard-size parking space, may not occupy the oversized spaces designated for RVs at the Visitor Information Center, and must abide by time limits for parking spaces. Adjacent parking spaces may not be blocked. Parking spaces may not be reserved, such as by the use of cones, ropes, chairs, or other items; all parking spaces are first-come first-served. Transient businesses must comply with conditions and specifications outlined in Resolution #13-002. A Mobile Business operates from private property in a fixed location using a mobile structure that is temporary in nature, such as a tent, or is permanently affixed to wheels. A Mobile Business is not allowed to operate on public right of ways or city-owned properties. The annual business license fee is based on the number of employees and is $25 for up to five employees. 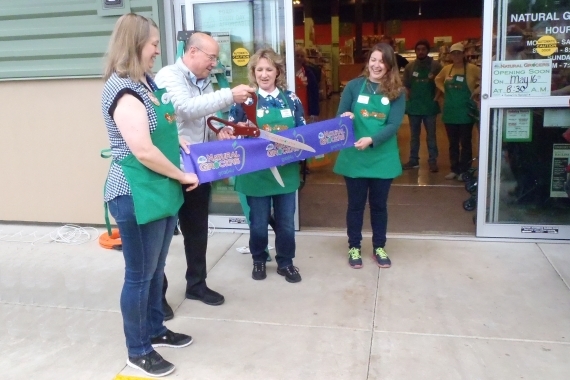 There are over two thousand businesses in Coos Bay, ranging from national chains with over 100 employees to single owner/operators working from home. The list of active business licenses is posted annually. Download the most recent list of active business licenses. When doing work in the Public Right-of-Way (ROW), utility franchises must submit a proper City permit, a detailed description of proposed work with start-up and completion dates as well as a sketch or plat drawing. Included with the permit application will be a Traffic Control Plan (TCP) and if the work impacts pedestrians, you’ll need to provide a Sidewalk Closure Plan (SCP). The turnaround time for a review is approximately 24hrs and/or up to five (5) business days. The City will notify applicatnts electronically so please include an email address along with a direct phone number. All utility franchises are required to submit a list of all sub-contractors used with their contact information. The City is required to verify with the state that sub-contractors are performing work with a current license. A free Special Event Permit is needed if you're holding an event on city property, such as the Boardwalk or Mingus Park, or if you're using city services. (Possible city services include power, police services, trash cans, barricades, portable restroom placement, and clean up.) You generally do not need to a permit for small gatherings, such as groups of 25 or fewer people. If you're not sure if you need a permit, just call the Community Development Department at 541-269-8918 and ask. You can pick up and fill out a Special Event Permit Application from the Public Works & Community Development counter at City Hall or request one by email at permits@coosbay.org. Along with the application, please submit a map showing the area your event will be using, including the route if it's a walk, run, or, parade. You can print your own map, or use one of our event maps of common locations: Central Avenue, John Topits Park, Mingus Park, Scout Cabin. A Traffic Control Plan is needed if you'll be using or closing city streets. 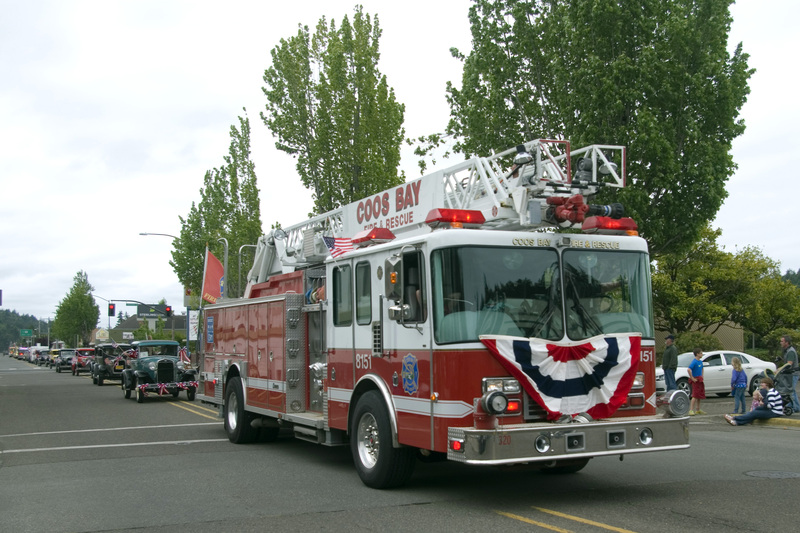 If your event requires city services you will need to include an insurance certificate and endorsement naming the City of Coos Bay as an additional insured. Depending upon the type of event, a meeting with City staff may be needed to work out details. We'll let you know if there will be a fee for any city services such as extra garbage cans or electricity and will work with you to make sure that everything goes as smoothly as possible. Events in city parks with 50 or more people are required to have a portable restroom on site. In Mingus Park, the gazebo by the children's play area is first-come first-served and cannot be reserved. Please be courteous so that everyone can enjoy the facilities. The amphitheater and adjacent gazebo, by the swimming pool, can be reserved. Open fires are not allowed on city property; propane barbeques are allowed but must be in an isolated area with at least five clear feet of working space. Façade Improvement Grants help revitalize commerical buildings with improvements such as paint, awnings and other exterior enhancements. Eligible properties can receive 50% of the cost of eligible improvements, up to $25,000 in matching grants. 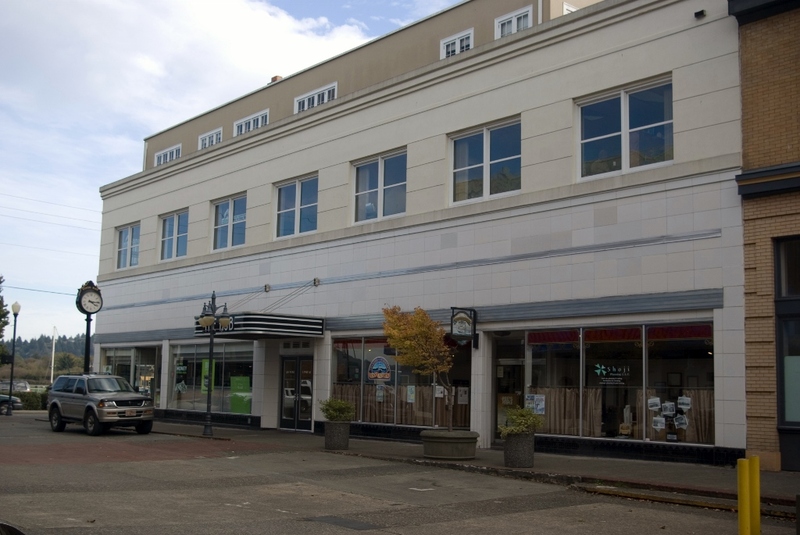 Funds may be used only for exterior façade renovation of commercial buildings Coos Bay’s urban renewal districts. That means any exterior visible wall, so long as the front facing a public right of way is included as part of the improvements. The Oregon Main Street Program is a state program for commercial historic district revitalization that is designed to build high quality, livable, and sustainable communities that will grow Oregon’s economy while maintaining a sense of place. 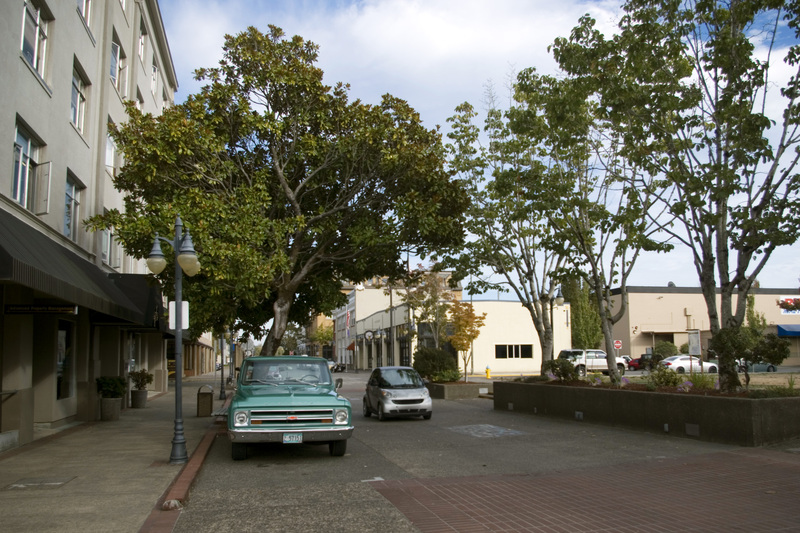 The Coos Bay Downtown Association and the City of Coos Bay partnered in the application process for the Transforming Downtown Level of the Main Street Program in November 2011. Coos Bay was accepted into the program in January 2012. 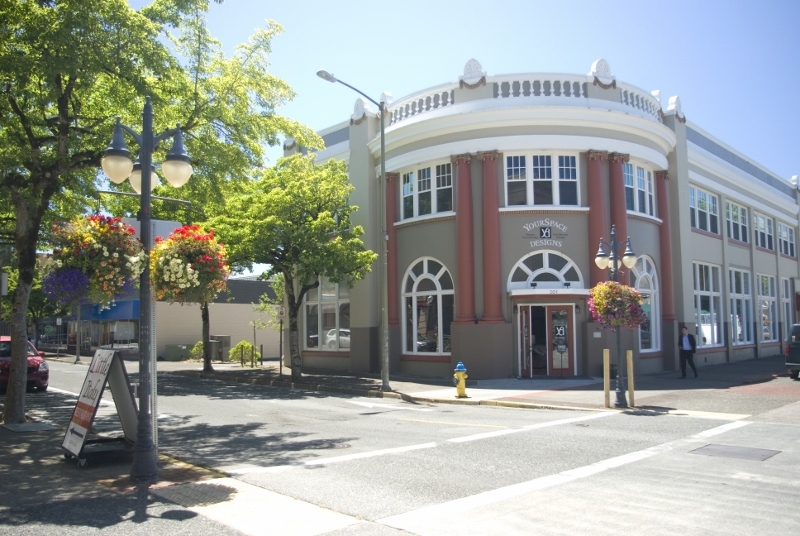 With support from a Resource Assistance for Rural Environments (RARE) grant and financial support from the City of Coos Bay, the Coos Bay Downtown Association hired a Main Street Manager to foster the development of downtown Coos Bay. Owners of vacant property are required to register the property with the City and update the registration annually or when information changes. The Vacant Property Registration provides a means for the City to be notified of vacant properties so City staff can keep an eye on them and know who to contact when there is a problem. It also requires regular inspections and ongoing maintenance in line with the Coos Bay Municipal Code, such as mowing the grass regularly and keeping the property secure. For out of area owners, the ordinance requires that there is a local contact, such as a property management company or realtor. There also has to be contact information posted on the property where it is clearly visible, which is useful for emergency services and also for neighbors. Download the Vacant Property Registration form. The Vacant Property Registration Regulations are Chapter 8.55 of the Coos Bay Municipal Code. Poultry, rabbits, and other non-pet animals are allowed, but the owner must have an Animal Control Permit issued by the city and renewed annually. Coos Bay Municipal Code, Title 6, requires a special permit for anyone keeping certain animals within the city limits. poisonous reptile or any reptile whose average adult length is greater than two feet. Animals cannot disturb neighbors by noise, odor, or other means. Animals must have food, potable water, shade or shelter. Renters must have written permission from the property owner or property management representative. The Animal Control Permit application is available on the city web site and at the Public Works and Community Development Department at City Hall. Permit cost is $50 per year plus fees. Permits are valid for one year from issue date. After the application is submitted, the Codes Enforcement Officer will do an inspection to ensure that there is adequate space for the animal(s) and that neighbors will not be disturbed. Permits are only required for property within the Coos Bay city limits. House numbers with five digits (e.g. 12345 Main St.) are not in the city limits. See Coos Bay Municipal Code Chapter 6.05 and 9.20 for additional information.